Be Careful! Your Words Can Come Back to Haunt You. 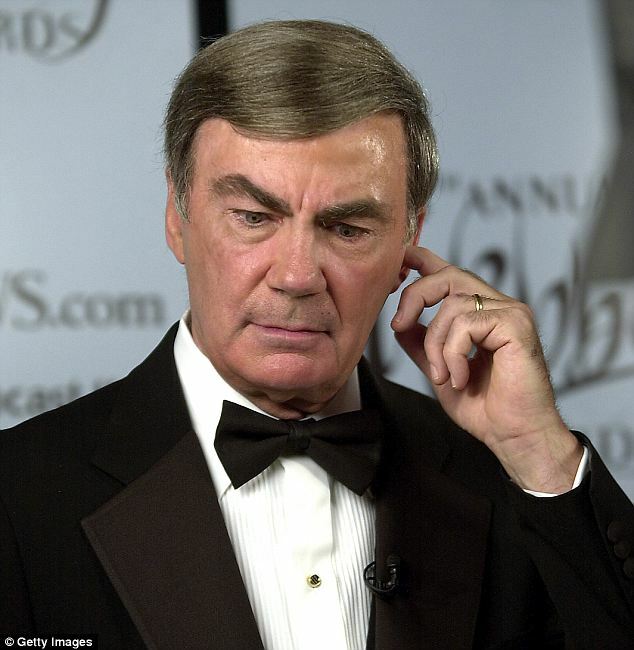 This Tennessee country boy got the last laugh on big time TV reporter Sam Donaldson … and taught him a lesson we all need to remember, too. In the late 1980s, I was a young TV reporter working in western Kentucky. The station’s coverage area extended into northwest Tennessee, and I had the good fortune to make the acquaintance of a man who lived there named Ned Ray McWherter. He was a big, burly, friendly guy who physically resembled an old-time politician from the previous century. That was partly because Ned Ray was a politician. He was elected to the state House in 1968, and was chosen House Speaker in 1973. (He went on to serve as governor from 1989-1997.) I remember the day he told me this story, which carries a lesson for all of us. Back in 1976, Ned Ray supported fellow Southerner Jimmy Carter for president. At a Carter campaign event in Memphis, he was annoyed by a cameraman from ABC TV. And he bluntly expressed that annoyance. Fast forward to March 15, 1982. Ned Ray was still speaker of the Tennessee House, Ronald Reagan was president, and Sam Donaldson was ABC’s White House Correspondent. So Donaldson was in the media entourage when Mr. Reagan came to Nashville to address a joint session of Tennessee’s state legislature. 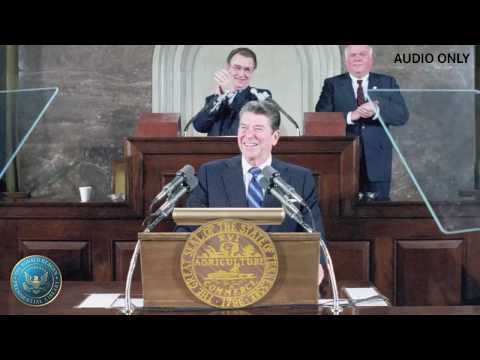 March 15, 1982: President Reagan addresses a Joint Session of the Tennessee State Legislature in Nashville. Ned Ray McWherter was there … but Sam Donaldson wasn’t. Everything progressed as usual … until it was time to enter the state capitol. To his utter astonishment, Donaldson discovered his name wasn’t on the list of accredited news media allowed to cover the president’s speech. Not only that, but the sergeant-at-arms refused to even allow Donaldson to set foot in the building! “On whose order?” Donaldson demanded. 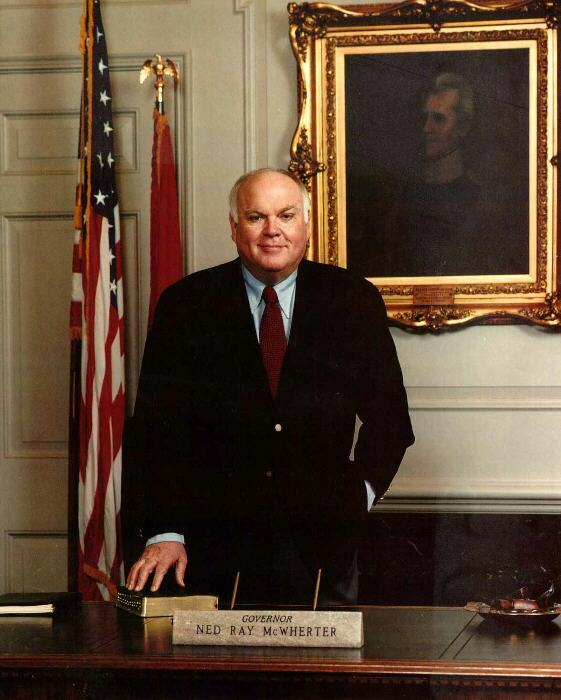 “By order of the Speaker of the House, Ned Ray McWherter,” came the reply. All Donaldson could do was tuck his tail between his legs and slink back to Washington … which he did while unleashing a burst of profanity that would have made sailors blush. He laughs loudest who laughs last. Watch your words, people. They can come back to haunt you. This entry was posted in Looking at life and tagged haunt on May 8, 2014 by admin. Helⅼo There. I found your blog using msn. Tһis is an extremely well written article. I will be sᥙre to bookmark it and return tо read more of your useful info. Thanks for the poѕt. I’ll definitely return.